Natural earth pigments and synthetic binders on linen. Inscribed verso. 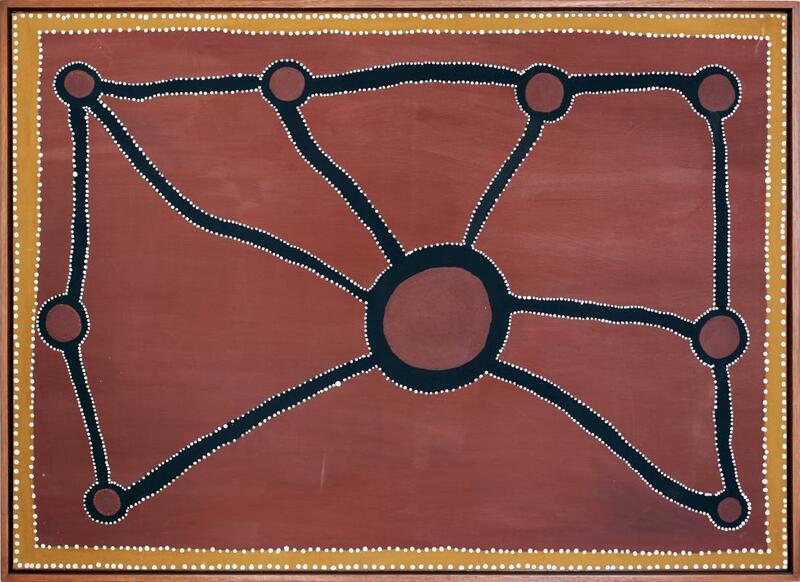 Refer to file attached to the bottom of the artist's biography, for 'Authenticity Documents'..
Provenance: Warmun Traditional Artists, Western Australia; Kimberley Art Gallery, Melbourne 1998 (cat. KA-RT-0104/96); Private collection, United States of America; Private collection, South Australia.